For locals and visitors alike, the Artgeo Cultural Complex offers the best in art, heritage, and culture. Located within walking distance to the historic Busselton Jetty and the magnificent Geographe Bay, there is something for everyone. Built between the late 1850s and early 1860s the Courthouse Gallery reflects the transition from colonial courthouse to modern-day art house. Once inside, you'll discover a tempting range of high quality locally crafted art, jewellery, pottery, glasswork, cards, photography, and woodwork. There is even an audio tour. 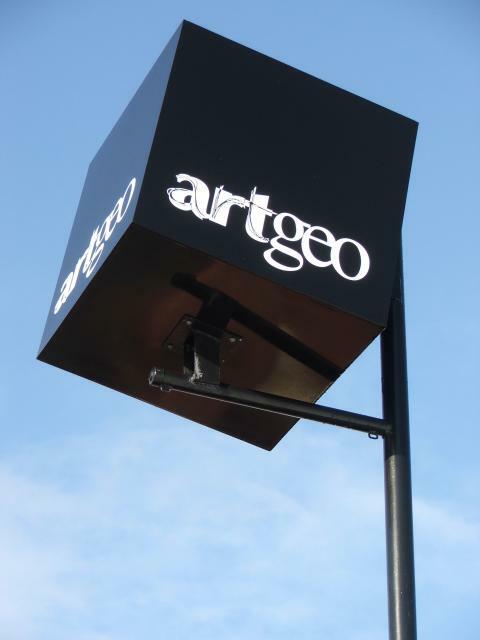 Situated directly across the road is the Artgeo Gallery. The Gallery's exterior stature along with its magnificent white arches combines with an impressive interior finish to offer a memorable gallery experience. Exhibitions change regularly and feature the region's most notable artists in addition to national touring exhibits. The Artgeo Cultural Precinct is also home to artists in residence along with the Busselton Art Society, the Busselton Woodturners' Association, and the children's theatre group, Acting Up. The Artgeo Cultural Precinct is proudly presented to you by the City of Busselton, its staff, and the many passionate volunteers who welcome you through the doors. Exceptional local gallery with high profile exhibits from major artists and photographers. Great little spot to wander. Located in the centre of Busselton at the jetty end of town. 4 - 7 Queen Street, Busselton.